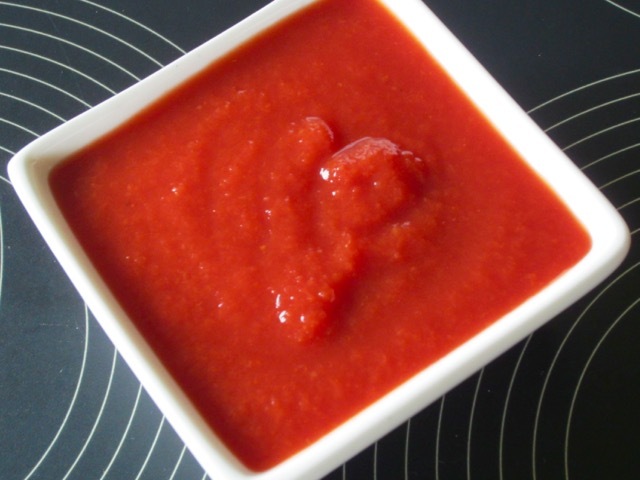 Also called Passata Di Pomodoro, Coulis de tomatoes (French). 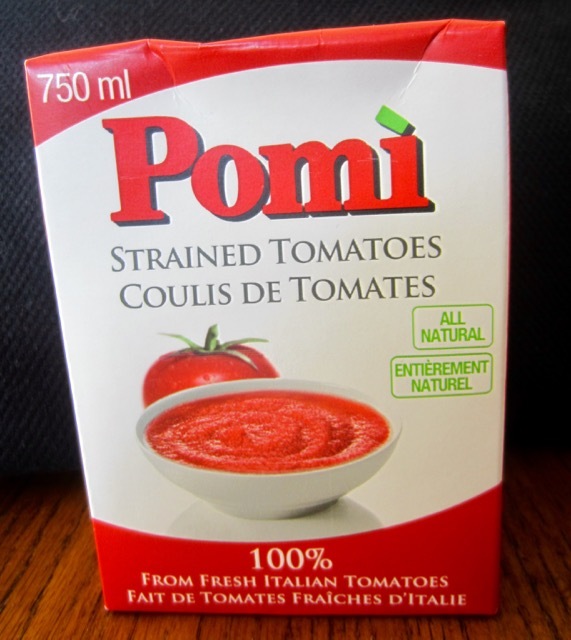 Strained tomatoes are briefly cooked, pureed and strained (sieved) tomatoes, usually bottled or packed in tetra pack (boxed) containers. The skins and seeds are removed during straining, so they have a very smooth thick and pourable consistency. The key here is that strained tomatoes are briefly cooked. 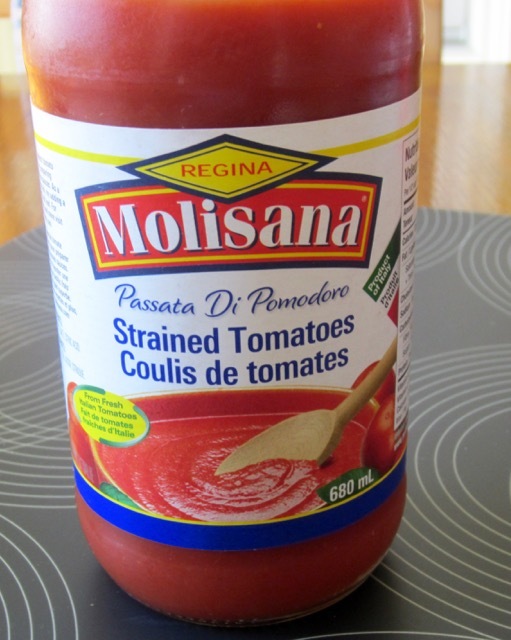 The ingredients in strained tomatoes are: tomatoes and sometimes, citric acid and/or salt depending on the brand. The level of added salt may vary considerably depending on the brand you buy. Please read the labels! Citric acid is a weak organic acid produced as a white crystalline powder. It occurs naturally in citrus fruits like oranges and lemons. It is used as a natural food preservative and to add acidic, or sour taste to foods and soft drinks. Strained tomatoes are available in Italian delis but some supermarkets also stock them in the so-called international foods aisle. In Europe, strained tomatoes are widely available in supermarkets. Ingredients in this brand are Tomatoes, Salt and Citric Acid.